Two weeks ago, I spent the weekend in France with 9 of my friends and their children. The age of their children varied between 1 year and 5 years old. In preparation for this weekend, I thought it would have been nice for me to bring a present to the kids, and it would have been even nicer if I was making the presents rather than buying them. 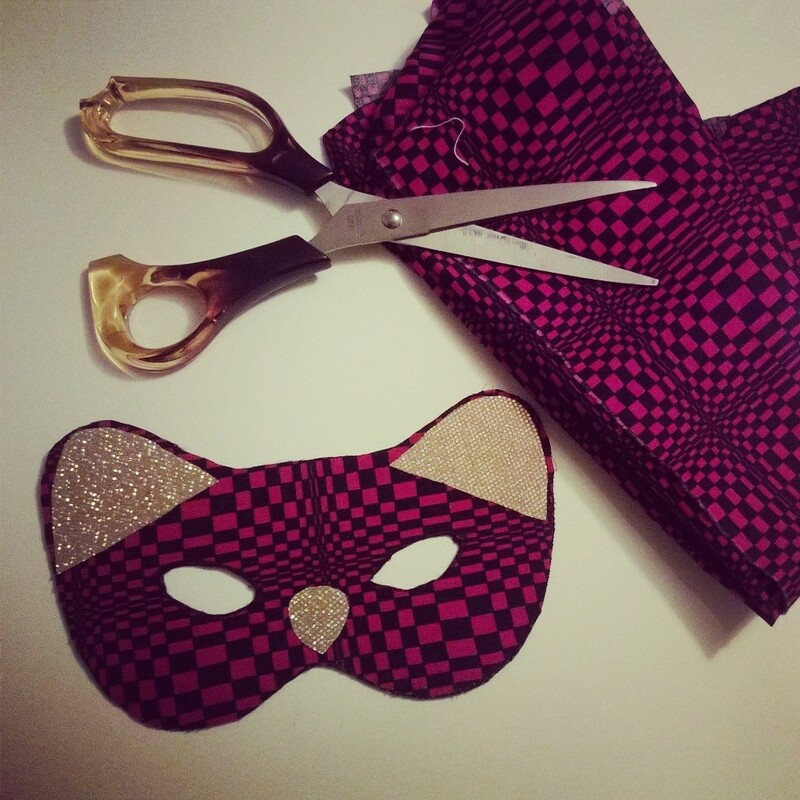 As sewing was/is my new obsession, I looked for some small sewing projects, and I found this great free cat mask tutorial on Burda website. 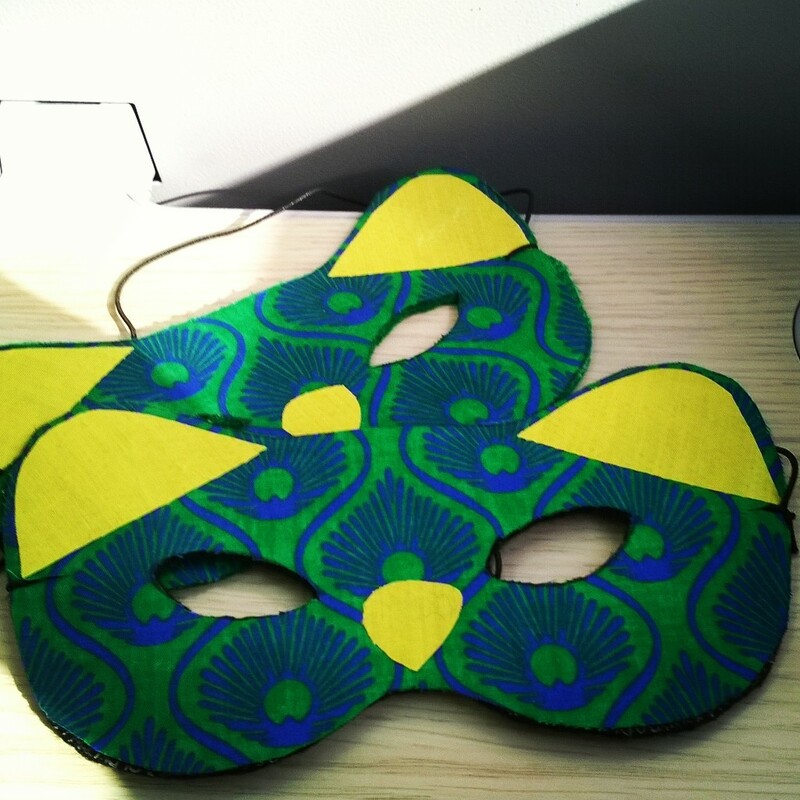 This project is great as it doesn’t require much sewing at all (in fact, I skipped the sewing steps and entirely relied on fusible bonding web) and only take about 25 minutes per mask. Not half bad in green! For this project, all you need is a piece of felt, approx. 25 × 25 cm (10 × 10 ins), a piece of cotton fab­ric, 12 × 25 cm, some small pieces of cotton fabric, for ears and nose, fusible bonding web and elas­tic thread. 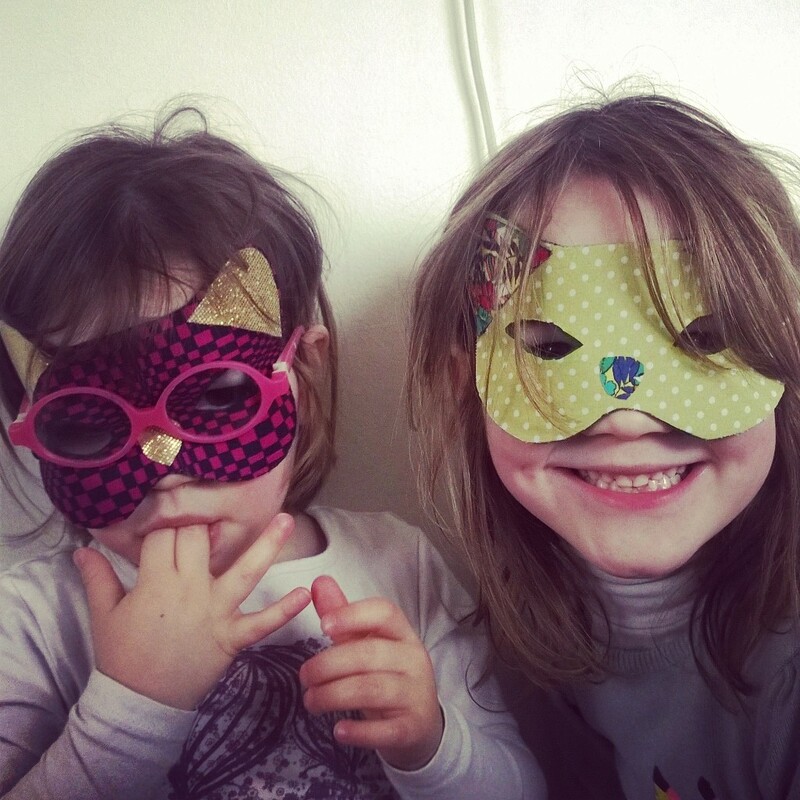 Visit Burda’s website for the instructions, and in no time you will make masks that will turn your children in happy super cats! Two super cute super cats! Previous Previous post: Jupiler Approved! Next Next post: 7 fabrics 100% cotton that will make you want to sew right away!